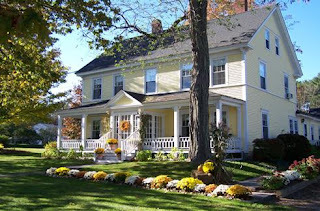 "Kendall Tavern Bed and Breakfast is a lovingly restored early 1800's farmhouse in the peaceful village of Freeport in Maine's mid-coast region. Our Inn offers 7 cozy guest rooms - all with private baths and air conditioning. 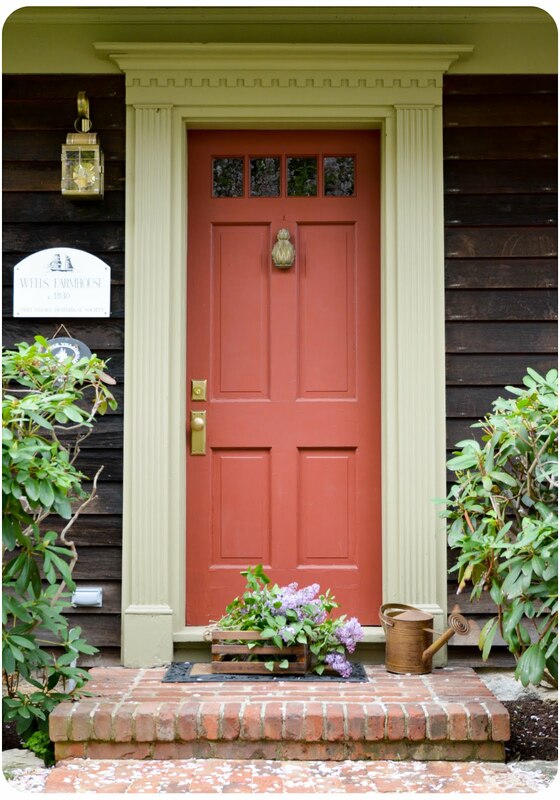 We feature comfortable accommodations, uncluttered decor, antique furnishings and authentic period details that transport you back to a time of simplicity and contentment. Our expansive landscaped grounds and spacious front porch offer a place to relax in the cool Maine breezes while sipping a glass of wine or a cold iced tea. Two parlors, both with gas fireplaces, are appointed with cozy chairs and reading lights for your enjoyment. Iced and hot refreshments are available each afternoon and evening, along with a special baked treat. A short walk takes you to Freeport Village home of L.L. Bean plus over 140 outlet shops and eateries. A short drive leads to Maine's spectacular mid-coast region, featuring rocky coastlines, sandy beaches, lighthouses and plenty of lobster! Whether you are visiting Maine for a relaxing vacation, business trip, romantic weekend getaway, honeymoon, or anniversary - Kendall Tavern Bed and Breakfast Freeport Maine offers a comfortable retreat from your hectic life." 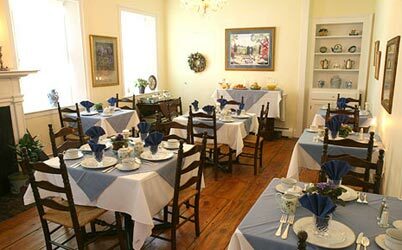 "The Federal House Inn is a wonderful place to relax while enjoying the sophistication of the historical atmosphere. It was built in 1824 by Thomas O. Hurlbut who built this gracious brick beauty with gorgeous wood floors and large windows that invite you to admire the scenery of the surrounding lawns. Located in the heart of the Berkshires, The Federal House Inn also has a handsome living room and a special breakfast room where you can peacefully enjoy your morning meal. All rooms are lavishly decorated with beautiful antiques that only add to the old colonial manor feel. The Inn is strategically located in an area with lots of historical and cultural events, making your experience at the Federal House one of entertainment and delight." "In the center of Lisbon, Connecticut, sets a 200 year old picturesque house, bounded by native cedars and a quaint New England stone wall on the east. 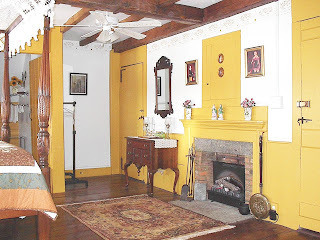 The house, which was built by Revolutionary War veteran Stephen Branch around 1790, is a bed and breakfast operated by innkeepers Ethel and Tom Bosse. 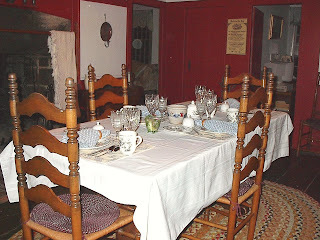 A full breakfast is served in the Keeping Room with its large working fireplace, but a continental breakfast is available for those keeping an early schedule. Nearby attractions are numerous. We're a few short miles from Foxwoods and Mohegan Sun Casinos. Other nearby attractions are Mystic Seaport, Mystic Aquarium, The Nautilus Museum, The Connecticut Wine Trail, The John Bishop House Museum, Fort Trumbull, The Essex Steam Train, The U.S. Coast Guard Academy Museum, and for the golfers, neighboring Griswold offers the 18 hole River Ridge Golf Course. 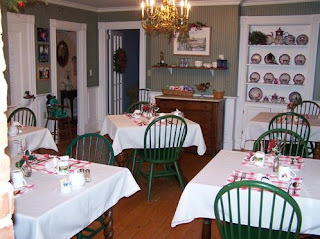 In addition, our location offers easy access to the 'Quiet Corner'"
Yes, I do like the Branch B&B in CT.It is just the kind of place I would like to live in one day! The price is good too. The Nantucket Lightship and the "The Old Man"